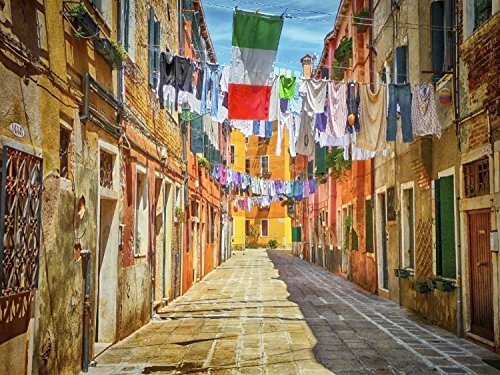 Laundry hanging on a residential street in Venice Italy, Fine Art Photograph, Laundry Room or Home/Office Wall Decor. SIZES: 8" x 12" - 12" x 18" - 16" x 24" - 20" x 30" (Click "Select Options" menu to choose). Printed on premium acid-free archival paper with archival pigmented inks. All prints are shipped in an acid-free archival cellophane sleeve, in a flat rigid mailer, rigid carton or a tube depending on size. Click on my Shop Icon in upper right hand corner to search my shop for more Venice, Italy or Travel wall art decor. NEED A CUSTOM SIZE OR CANVAS OR METAL PRINT OF THIS IMAGE? Please send me a custom request with the size requested to receive your custom quote! ADDITIONAL INFORMATION: The matted and framed images shown above are for illustrative purposes only to represent how the artwork may look in your home. Matting and framing are not included. If you have any questions about this product by Gigi Ebert Photography, contact us by completing and submitting the form below. If you are looking for a specif part number, please include it with your message.